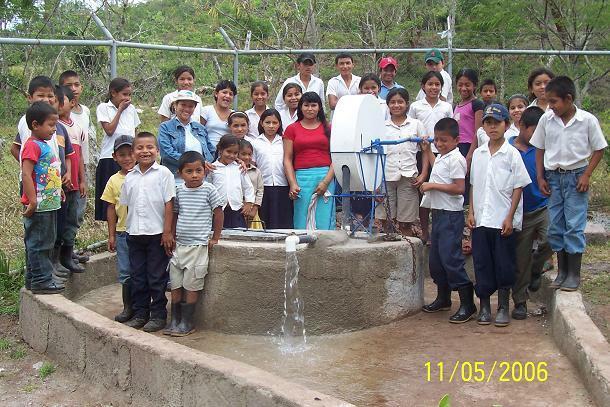 El Porvenir has worked in these three regions for 7, 12, and 17 years respectively developing potable water and basic sanitation projects in small rural villages which had no other possible source of financial support for infrastructure. Water projects: gravity flow spring capture, hand-dug wells with rope pump (see http://www.ropepump.com), simple traditional latrines, modified for ventilation. Projects which include both wells and latrines in one community will be developed in two phases, latrines first, then wells. Well development concentrated in dry season which is very short in Camoapa region. The community had to come to El Porvenir in the first place to request this project,i.e. it is a need identified as important by the community. We do not initiate projects. The community must elect its own committee to manage the project and take long term responsibilityfor its care and maintenance. Community provides all labor on a volunteer basis. community must obtain site control of any water project, through donation or purchase, which is legalized by attorney and municipal government. Community finances any repairs needed in the long term. In well projects several members of every community participate in installation of rope pump so that later they know how to take it apart and fix it and reinstall it. Repairs are cheap, e.g. $3 for a new rope. I think this is a great project, well thought out and submitted by a serious and professional organisation. Many people say they will monitor but I think El Porvenir's work on this is excellent and substantive. Thanks a lot Ned. We also have a lot of respect for Water for People. 1. What would be the total cost of drinking water project and per person cost of the same. 2. 178 families would be assisted in the construction of wells and water systems. How many wells would be constructed and what is the unit cost of the well. Whether it is a community well or individual well. What is the average number of beneficiaries per well? 2. There are 5 wells, one extension to an existing water system, one new water system and 178 latrines. All of our projects are community based. In these 5 wells, the average number of families is 8 and 61 people (one of the wells benefits a small school as well as the families) Our average unit cost for wells is $1800US. A rehabilitation of an old well runs from $500-850 depending on the damage and wear on it. 2 of the 5 wells are rehabs. 3. The unit cost of our single pit VIP latrines (although we are considering the double pit model for 2007-8) is $160-200, average $180. I hope that helps. If you need more info, I will gladly email you the budget. (email me at porvenir@turbonett.com.ni) Thanks. Is it possible to do all the projects in one region? Instead of using the funds in 3 regions, do you have enough identfied villages in one region (personally prefer the driest one) that all the projects could be more consolidated? Secondly, how can we introduce the family planning workshops into these projects (like what was done last year)? In some future year, maybe 2008, we could plan our funding allocation in order to allocate a specific number or total dollar amount of projects in one region. At present we have committed virtually all of our 06-07 projects to specific funders and there are not enough left unfunded to make a concentration in one region. I am sending you by email the tracking sheet we use to allocate projects to grantors so you can see the problem directly for yourself. Could I ask why you would want us to do that? We have regional funding from two other foundations, but they do not just fund water/san projects, they fund community health education, reforestation, staff salaries including portions of central office admin and accounting, office expense, staff transportation, development costs for potential new projects, and capital purchases (e.g. water testing equipment, motorcycles, sump pumps for well cleaning, etc). If Blue Planet would like to shift to that type of funding instead of trying to reach $25 per person for water, we would be more than delighted to assign a region to Blue Planet and submit a buget for our regional work. Our driest region is El Sauce in Leon province. We could start now planning such a proposal to you for 07-08. We can introduce family planning workshops at any time by coordination with ProFamilia whose staff did those workshops in Blue Planet communities last year. The sustainability of the sanitation component is questionable. Since the latrines will last a few years (always less than projected span), and there is no revenue model, there will be a need to fund more latrines and there is no way to remove the old eyesores either. The strategy used for community mobilisation, maintenance, people's contribution is significant. The low cost technology for pumping of water which requires negligible maintenance is remarkable. Truly excellent and should be financed. 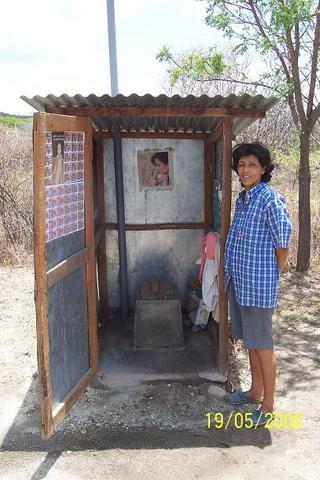 I look forward to exploring sanitation results after the project is done as this is a challenge for us all. Well throught out project design. It's obvious El Porvenir has good experience in the sector.